Science! song included on the Ninkasi Brewing Summer compilation CD! | Science! ← Science! wins at The Oly Music Awards! Science! song included on the Ninkasi Brewing Summer compilation CD! Posted on June 13, 2012 | Comments Off on Science! song included on the Ninkasi Brewing Summer compilation CD! Science! 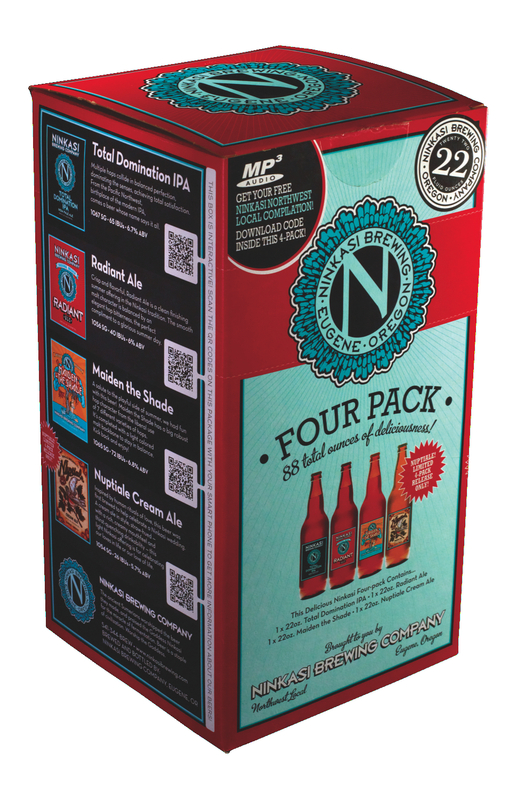 is super excited to be included in a downloadable compilation of great Northwest bands that you can get in this delicious compilation of Northwest beers from our friends over at Ninkasi Brewing! Summer 4-packs have shipped to Alaska, Washington, Oregon, Idaho, Montana and San Francisco–by the time summer is over there will probably be 30,000 or more enjoyed by people who enjoy craft beer and well-crafted music. Each 4-Pack includes a free download card in it for our 2012 compilation! This entry was posted in General and tagged Abilene, Acoustic, Beer, Elenteny, music, Ninkasi, Northwest, Science!, Stang, Summer. Bookmark the permalink.